Paramount Pictures and MGM have debuted a new trailer and poster for Hot Tub Time Machine 2. 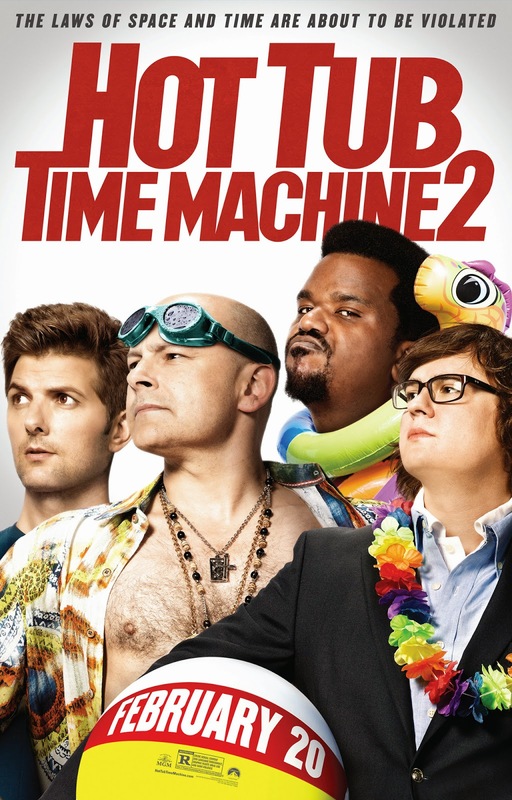 In the sequel, when Lou (Rob Corddry) finds himself in trouble, Nick (Craig Robinson) and Jacob (Clark Duke) fire up the hot tub time machine in an attempt to get back to the past. But they inadvertently land in the future. Now they have to alter the future in order to save the past….which is really the present. Directed by Steve Pink, Hot Tub Time Machine 2 opens on February 20, 2015 and also stars Adam Scott, Chevy Chase and Gillian Jacobs.